Afrin Canton Agricultural Council Deputy Chairperson Saleh Ibo said the Turkish state has confiscated the people’s fields and olive groves and aims to profit and change the demographic makeup. 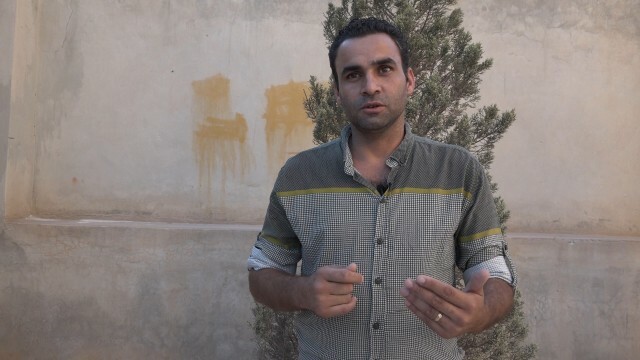 Afrin Canton Agricultural Council Deputy Chairperson Saleh Ibo spoke to the ANF about the Turkish state’s plans to exploit the olives of Afrin. Ibo said the following on the Turkish state plans to take Afrin’s olives to Turkey: “Now we as the Agricultural Council have acquired information that the Turkish state is planning to take Afrin’s olives to Turkey illegitimately this olive season. Through certain European companies, and their gangs and the so-called local council they formed. They stand to make 80 million dollars from the olives they steal this way. “There were 218 olive factories in Afrin, but we have information that dozens of them have been looted, their machines stolen and taken out of Afrin. “The most beautiful canton in Northern Syria used to be Afrin, it was known for it. It was a rich canton with its nature, culture and economy. That is why the invading Turkish state targeted Afrin quite deliberately. We as the Agricultural Council have monitored the process since January 20, the beginning of the Turkish state’s invasion operation until the end of the phase one. We have determined that 80% of the sources for Afrin’s economy have been hit. This is especially true for agriculture. “80% of the people of Afrin made their living through olives and olive oil. The Turkish state already forced most of the people to migrate with their invasion. And now they are trying to get the remaining people to leave Afrin through violence and financial ruin to complete the demographic change. So we as the Afrin Agricultural Council prepared a general report and submitted that to international institutions, the UN, the Red Cross, everyone. But there hasn’t been any word from these institutions and the international public regarding the Turkish state killing the nature of Afrin and Northern Syria. We believe a reaction will develop in the coming period. If it continues like this, there won’t be any Kurds left in Afrin, the demographics will completely change and Afrin’s nature will 100% get pillaged. Since the invasion operation and the invaders entering Afrin city center on March 18, hundreds of hectares of arable land and forests have been burned down. 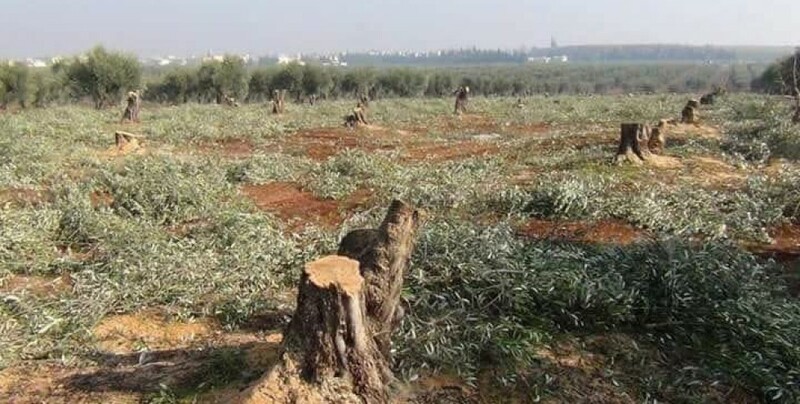 The Turkish state, having violated the border line unlawfully for years before the invasion, cut down 4.500 olive trees and removed 1.500 other olive trees to take them to Turkey since March 18, 2018.